Whether for your storefront or master bathroom, quality glass improves the look and value of your property. 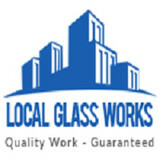 Clearlite Glass BC Ltd offers a wide range of glass services from skylights to shower doors to curtain walls. We cater to residential, commercial, and industrial jobs; manufacturing glass products like storefront windows and automatic doors, offering adjustments, replacements, repairs, and glazing. Pino Lite Glass offers residential window glass replacement and repair as well as upgrading to energy efficient glass windows. 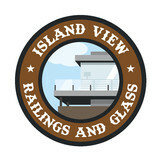 Having served Victoria for over 30 years, you can trust the experts at Pino Lite Glass to take care of your house, condominium or high rise apartment glass. We can quickly secure broken glass on your windows or doors, take measurements for replacement glass, and install your replacement glass giving you peace of mind and security. Our service covers all types of residential glass, from regular to tinted, privacy, safety, tempered, laminated and thermal glass. Pino Lite Glass will always go above and beyond to ensure your glass is properly installed. What can a local Nanaimo glass company help me with? If it’s a major home glass repair or replacement, the Nanaimo glass company should work directly with your insurance company to help bring down costs for you, if applicable. 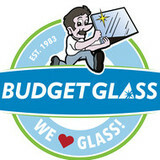 Find Nanaimo glass companies on Houzz. Narrow your search in the Professionals section of the website to local glass, mirror and shower door services in Nanaimo, BC and read reviews and ratings to find one that fits your needs.